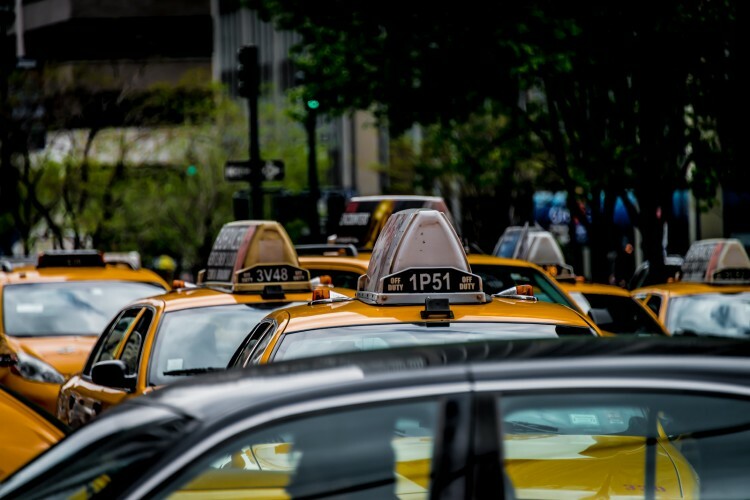 One of the most common sights to see in New York City are the ubiquitous yellow cabs, they can convert the streets of Manhattan into a river of yellow. On a recent visit to New York I had to opportunity to wander around. 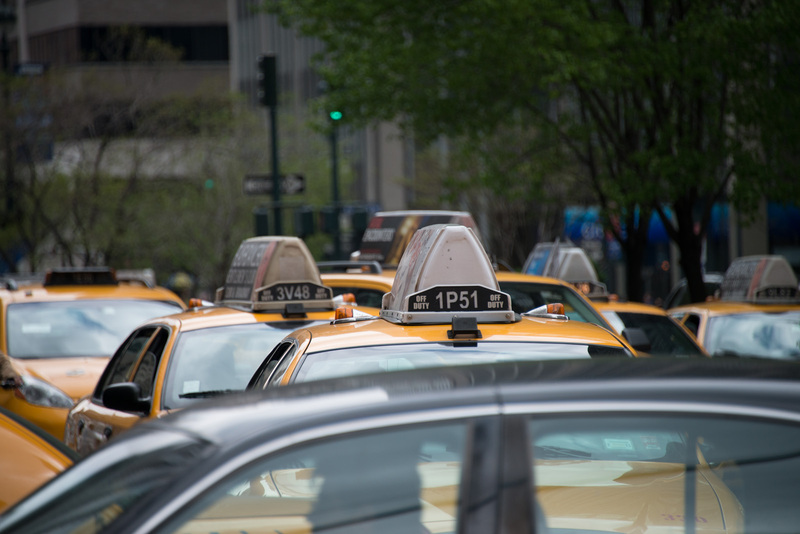 I had a 28-300mm lens on my camera and with the lens racked out to 300mm I snapped this shot of group of cabs in the Midtown area. I like the compression you get out of a telephoto lens as well as the shallow depth of field and I like the look of the cabs and the repetition of their roof top signage. If you compare the finished image above to the as shot image below, you will notice that out of camera the image was rather flat. In some regards this was by design. In general I try to shoot a little brighter, without blowing the highlights, so that I capture more information in the raw image. In post-production, I’ll then tweak the exposure to add back more darkness and contrast. For this image all processing was done in Lightroom 4. I decreased the Blacks considerably (-82) as well as the Whites (-52). The other major change was a boost in Clarity (+100) and a bit of Vibrance (+49). Working with the new algorithms in Lightroom 4, combined with the high pixel count of the D800, I find that you can get some really nice results by a significant boost in clarity especially if you are going for a punchier image. This picture, and many others from New York, are available for purchase in my New York gallery at Imagekind.com, as well as in my store at 500px.com. All images available for sale or license. Please contact me for more details. Very nice shot and cool processing.